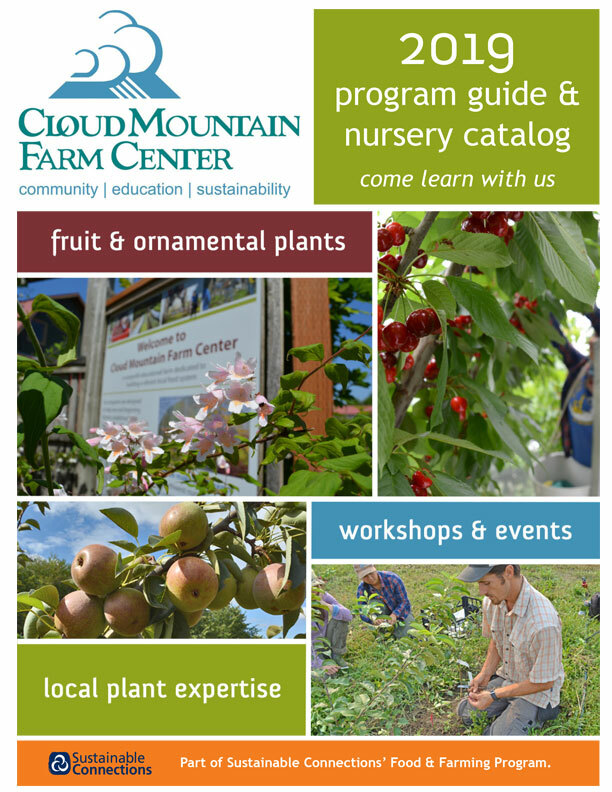 We invite you to come explore Cloud Mountain Farm Center. We’re dedicated to building a dynamic local food community that includes both farmers and the general public. Educating gardeners and community members has always been a part of what we do. We offer workshops throughout the year, volunteer opportunities, host an annual Fall Fruit Festival where the community can taste locally grown fruit and produce, and bring together chefs, food experts and the community through dinners focused on local, seasonal food. Gardening tips developed for our Pacific Northwest maritime climate is available any time on the website for viewing or downloading. Cloud Mountain Farm Center is happy to give tours to groups or individuals as our availability allows. Please contact us 2-4 weeks prior to tour date, this gives us time to have staff on hand as well as insuring that we will not be doing any spraying in the fields. Cloud Mountain Farm Center is a 501©3 nonprofit and we ask you to consider making a donation at the time of the tour. From I-5 (Bellingham), take exit 255 (Mt. Baker Hwy). Follow east 8 miles, then take Hwy 9 north at second roundabout. Go 1 mile, turn right on Siper Rd. Follow Siper 1.5 miles to a T; turn right on Hopewell, then left at the stop sign onto Goodwin. We are 1/4 mile north, on the right.